We�ve got some issues to sort out before conference tournaments begin. Like how in the world will the middle of the ACC, Big 12, and Pac-10 shake out? Who is going to win the Big East? Who is going to win the Big Ten? The NCAA tournament is probably the best event in sports, but the mayhem of the end of college basketball�s regular season is just as exciting. So much can change in just a few short weeks. Enjoy it, because this time of year only comes once. Here's a complete look at the week's activity. Although this is an important game for both teams, Louisville especially needs this game. With a tough schedule down the stretch- Villanova and Georgetown come after Notre Dame- the Cardinals cannot afford to drop another game in the Big East. They currently lead third place Notre Dame by a half game in the Big East standings, but if they lose to the Irish, the Cardinals may not be able to recover. Notre Dame�s last three games after Louisville are DePaul, St. John�s and South Florida. Barring a collapse, the Irish should win every single one of those games. If Rick Pitino�s team loses on Thursday, that could be the end of its hopes for a Big East title. Both teams are also fighting Georgetown for the title, and it was expected that Louisville would be in the mix in late February. But Notre Dame, although thought to be an NCAA tournament team, has taken its game to a different level this year. The obvious reason for the Irish�s success is the breakout season by sophomore big man Luke Harangody, and he is the front-runner for Big East Player of the Year. Notre Dame�s success can�t just be credited to his play, because the Irish beat teams in a number of different ways. Their inside game is bruising and effective, but they also shoot the ball extremely well from the outside. Kyle McAlarney shoots a lot of threes, but he�s making more than 44 percent of his shots behind the arc. Several other players for Notre Dame can stroke it from the outside, which compliments its strong inside game. The Irish need to knock down threes to win. The same can be said for Louisville, who also has the same balance as Notre Dame. Inside, the Cardinals are as strong as anyone in the country. This game will come down to the guard play and who can make shots. I�m more confident in Louisville�s backcourt, and I think their athleticism and pressing defense will cause problems for Notre Dame. Michigan State may not be a serious contender in the Big Ten race anymore, but Wisconsin certainly is. Tied with both Indiana and Purdue, the Badgers obviously need to continue to win to keep up with the top of the conference. Besides the conference race, this game is obviously important for NCAA tournament seeds, and Tom Izzo has to be worrying about that right now. After such a strong start, Michigan State has stumbled a bit. The Spartans have wins against BYU and Texas outside of the conference, but in the Big Ten they have no wins against any of the other three conference powers. Add that to losses to Iowa and Penn State, and Michigan State may be seeded in the 4-6 range. A late season surge could put Wisconsin as high as a 2 seed- the same as last March- and that would be a real accomplishment. As you probably already know, the Badgers don�t usually lose at the Kohl Center. Purdue did beat them in Madison a few weeks back, but Wisconsin should be able to dispatch of Michigan State, which has already lost on the road at Purdue and Indiana this year. Before beating Washington State this weekend, we were actually talking about Arizona possibly missing the NCAA tournament for the first time in more than two decades. But that big victory in Pullman put an end to that talk, and the Wildcats, who boast the nation�s top ranked strength of schedule, probably won�t have to worry much about making the field of 65. Of course, if Arizona tanks in its last four games, that dreaded �bubble talk� may come up again. With as dominant as Jerryd Bayless has been, it�s hard to imagine the Wildcats playing their way out of the NCAA tournament. Bayless is putting this team on his back, and it�s a shame he isn�t often mentioned in the same group with Beasley, Love, Rose, Mayo, and Gordon. This kid is as good as any freshman in the country. The last time these two teams met, Arizona won in Los Angeles. I see the Cats completing the sweep at home on Thursday. Finally, thanks to Bruce Pearl�s team, Memphis� quest for an undefeated regular season is finished. Now, Pearl needs to direct his team�s attention to Vanderbilt. Playing at Vandy is hard for most teams, but the Volunteers will also need to avoid the �hangover effect� from beating the nation�s top team this Saturday. The Commodores have cemented their place in the NCAA tournament and have now won six straight games, but I�m still eager to see if Vanderbilt has improved since its last meeting with the Volunteers, which resulted in a blowout. Vanderbilt has not beaten a ranked team all season and it doesn�t have many quality wins. To its credit, Vandy has taken care of the lesser teams on its schedule. But I still don�t believe this team can make it past the first weekend of the tournament, and it might even get bounced in the first round. I�ve been wrong plenty of times though and this is definitely a trap game for Tennessee. I believe Pearl will have his team ready, and the top ranked team in the nation will prevail. Michael Beasley�s 17 point performance against Nebraska last Wednesday was embarrassing because he told ESPN cameras he �might go for 50, in all seriousness.� He tried to make up for that by setting a Big 12 record for points in a game, with 44 against Baylor, but his team didn�t help him out much. Kansas State lost a second game in a row, and now the Wildcats are in some real trouble. Missing the NCAA tournament seems a bit unlikely, but a Big 12 title doesn�t look very attainable anymore. Texas is heading in the opposite direction and has a chance to gain a top seed in the NCAA tournament. 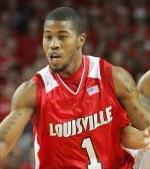 We know Kansas State can be a great team, it�s just that the Wildcats are a terrible road team. Luckily for Frank Martin, his team gets to play in Manhattan on Monday. That�s why the Longhorns may lose their first game since January on Monday night. Miami has saved its season with four straight wins, including a win against Duke. Clemson looks to be in good shape for the NCAA tournament, but you never know. Remember how this team faded last season? This would be a horrible loss for the Tigers, but I do see them pulling out a victory at home. Big time Mountain West match-up here. New Mexico probably can�t get an at-large bid, but maybe it can spoil BYU�s chances at getting into the tournament if it does not win the MWC tournament. The Pit is a unique venue and a great place to watch a basketball game- New Mexico has lost just one home game there this season. Here�s another Mountain West game between two of the conference�s top teams. San Diego State hit a rough stretch for awhile, losing four in a row in early February, but notched a huge victory over BYU this weekend. UNLV is on the bubble for an at-large and since winning the conference tournament won�t be easy, the Runnin� Rebels need this one to keep pace with the rest of the nation�s bubble teams. The middle of the Big 12 is completely jumbled right now, with four teams at 6-6 and 3 teams at 5-7. Texas Tech and Texas A&M are two of the teams with exactly a .500 record in the conference. This is a critical game for both team�s NCAA tournament chances. A&M lost earlier to Tech in Lubbock, and the Aggies have taken a turn for the worse, losing three games in a row. Their inside game will be too much for the Red Raiders, who are soft down low. Wright State has Butler�s number. This team always seems to find a way to beat the Bulldogs. It already did earlier this year at home, and now I see the second place team in the Horizon League beating Butler again at Hinkle. A win in Bloomington is a necessity for Ohio State on Tuesday. A victory gives the Buckeyes life- a loss kills them. Ohio State gave Wisconsin a game in Columbus on Sunday, but simply competing is not enough. Thad Matta�s team needs wins. Indiana is beatable, given how bad the Hoosiers looked against Northwestern and the turmoil that has taken place in that program. I think intereim coach Dan Dakich will see his team come together on Tuesday though. Beating Connecticut on Saturday puts Villanova right back into the NCAA tournament mix. Left for dead a few weeks ago, the Wildcats have stormed back. Marquette has been playing solid basketball lately but the Golden Eagles won�t be able to stop the streaking Wildcats. Both Maryland and Wake Forest could finish as high as 3rd in a wild ACC, and the weirdest part about that is neither team can feel confident in their NCAA chances right now. Both teams are solidly on the bubble and need a strong finish to gain an at-large.